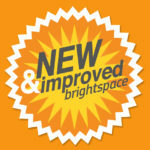 It’s a good idea to use Brightspace’s gradebook to help organize your grades. If set up correctly, it will calculate your grades for you. It’s also a secure way to provide grade information to your students. The first step to setting up your gradebook, is to go through the 7 steps in the gradebook’s Setup Wizard. This guide will explain each step. 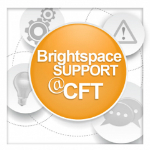 For personalized help with setting up your gradebook, visit Brightspace Support at the Center for Teaching. 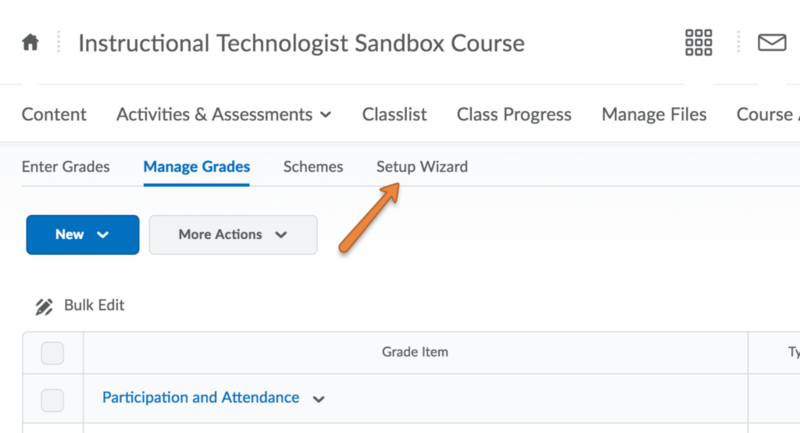 To access the Gradebook’s Setup Wizard, click on Course Admin, and then click Grades. Select the Setup Wizard tab. You will see default settings displayed. Scroll to the bottom of the page and click Start. Most instructors will use a Weighted or Points system. 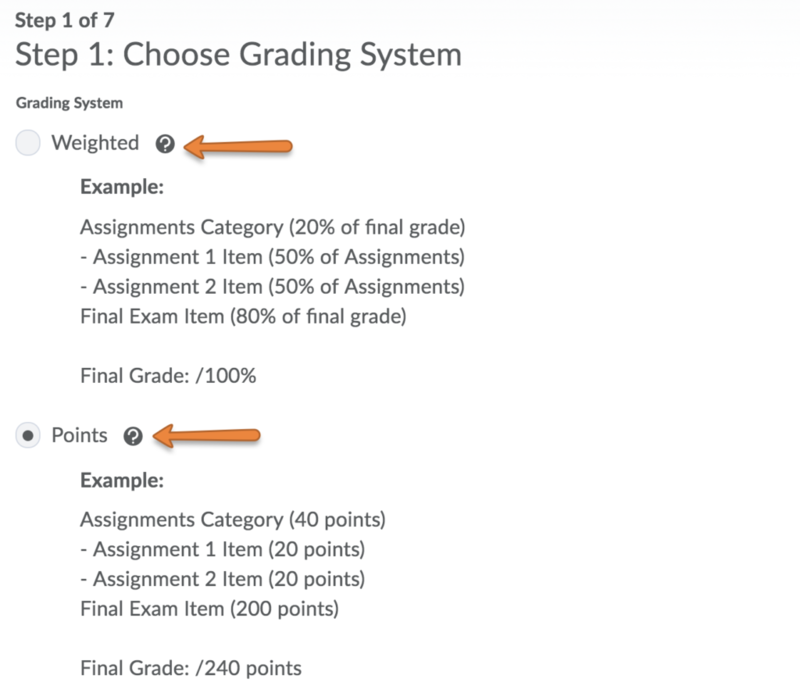 Look closely at the examples to see which type of grading system matches your syllabus. Make your selection and click Continue. If you need to create a custom formula for your grading system, please contact Brightspace Support directly for assistance. 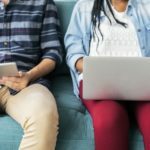 In most cases, an instructor will choose Calculated Final Grade. This selection will automatically calculate the final grade based on what’s in the gradebook. An Adjusted Final Grade is a final grade that you must manually enter to override the calculated final grade. Be advised that while this may work well for small courses, it will be a large task for a large course. Do not check Automatically Release Final Grade. On this step, you must decide if ungraded items are dropped from the final grade calculation, or if they are treated as a zero. 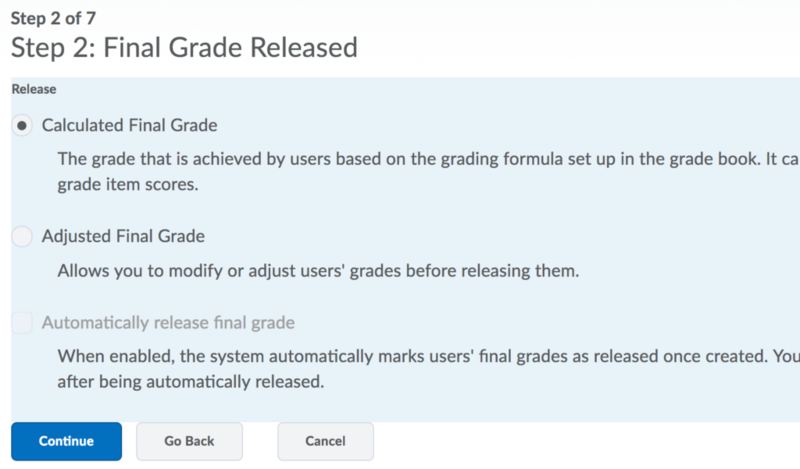 You can also determine whether you’d like the final grade to automatically update every time a new grade is added to the gradebook. 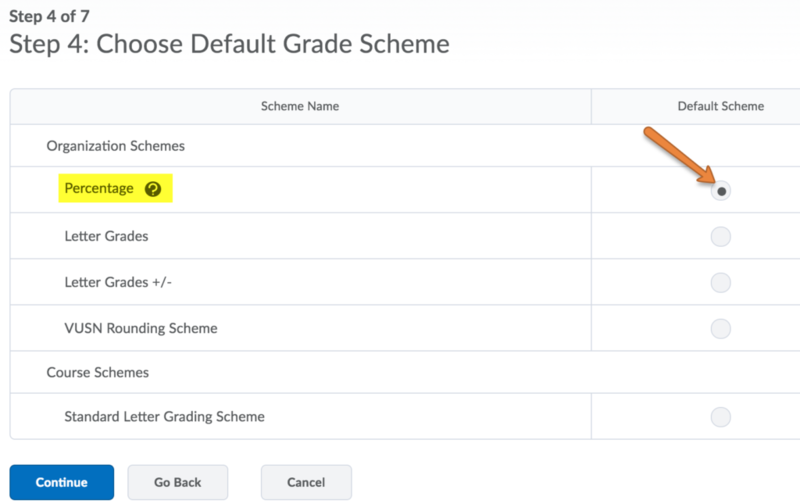 Choose Percentage for your default grade scheme. Click continue to Step Five. Choose the number of decimal places you’d like to view. This is for your gradebook view, and not what the students would see. Typically this would be left at 2 decimal places. These options affect what the student will see when viewing their grades. Grade Scheme Color – The student’s grade view will have a shaded background color that varies according to grade. Ex. An A has a green background, an F has a red background. Decimals displayed – You may or may not want students to view the decimals used when calculating their grade. Review the summary of your selections and click Finish. You can re-visit the Setup Wizard at any time to modify your changes.